From the Largest Wholesale or Professional Production Photo Lab – to the Smallest Single Print or Micro Multi-Print Solution, IPS Imageflow Software has an Integrated Workflow Solution for your business. While dedicated to Epson Surelab SL D3000 & D700 Printers, IPS Imageflow Software will integrate with virtually all currently supported digital printers in the market today – both Wetlab and Drylabs. Epson Surelabs offer identical printing capabilities from ‘Printer to Printer’ that has been proven not to drift over time. 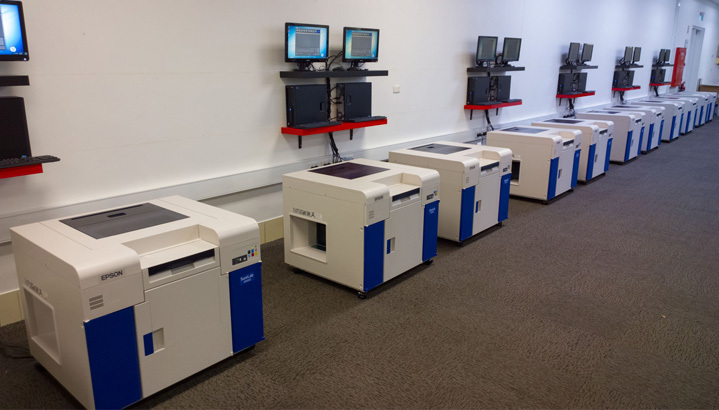 Extensive field testing has shown that the Surelab SL D3000 Technology is the most Stable Professional Digital Print Solution available to date. Displays a full history of every paper and ink status change on the SL D3000 Printer. It also saves it to a local and remote SQL database for reporting and analysis. 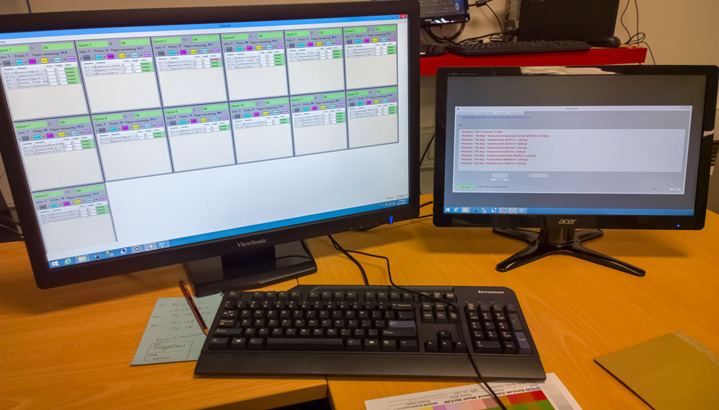 IPS Imageflow Monitor reports on lab performance printer by printer. Use to optimise production and ink coverage; plan preventative maintenance; identify potential problems through efficiency reviews. Reports extracts to Excel spreadsheet. IPS Imageflow Manager converts printing data from numerous input sources to your chosen print solution. Print and Order Data coming from any Photo Kiosks; downloaded from an on-line ordering solution or mobile platform are auto cued in your printers work flow. You are not limited to the Printer devices specified by the Kiosk or Software Manufacturer. 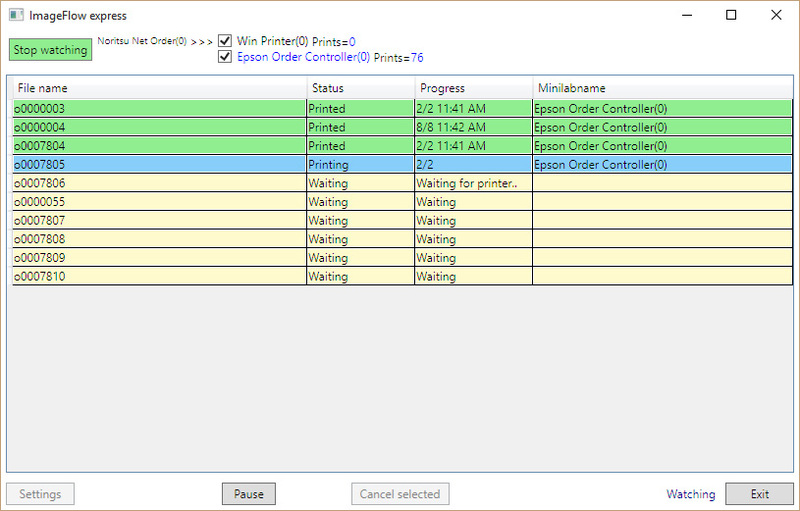 Current versions automate printing to Epson Order Controller with Surelab Printers; Noritsu Easy Controller (Wet or Drylab) and any Windows Printer. Data can be sourced from various input formats, either Kodak, Noritsu and Fuji data formats. Noritsu (Net Order, Hot Folder), Fuji (PIC, JobMaker, and C8), Epson DPOF, Agfa D-Workflow, Windows Printer and Hot Folder. Fast data transfer with minimal operator input. Watches multiple folders and picks up orders in various formats: Noritsu DPOF, Noritsu Hot Folder, Fuji C8. Imageflow watches the input folders for incoming orders. When printing to multiple printers the first available printer that has the correct size and surface is selected. NB - If more than one printer is available, then the printer with lowest print count is selected. Example: Print multiple print types to multiple Epson SL D700 Printers.